Judy Dykes, 68, passed away Sunday, May 27, 2018. 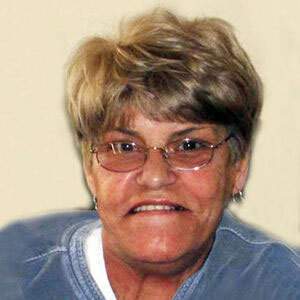 She was born Nov. 23, 1950, in Tiffin, to John and Norma Tewalt. Survivors include her loving husband of 48 years, Rodger; a daughter, Candy (Victor) Cook; a son, Scott (Lori) Dykes; three grandchildren, Katelin, Rowan and Leyton; and two sisters, Karen (the late Tom) Kennedy and Jean Overmier. Donations preferred to the Michigan Humane Society. Visitation is 3 p.m. until time of service at 5 p.m. Friday at Wujek-Calcaterra & Sons Inc., 54880 Van Dyke Ave. at 25 Mile Road, Shelby Township, MI 48316. Share memories with the family at their online guestbook at WujekCalcaterra.com.